Do you want to be a part of something significant and grow as an individual in a thriving culture together with a fun and professional team? If your answer is ”heck yes, a thousand times yes” (we will also accept yes, of course and why the fudge not) iGoMoon is the place for you. We started as a traditional web agency, but today we are a Digital Agency that specializes in HubSpot website development. Today iGoMoon is evolving into a hybrid agency, by combining inbound marketing, Hubspot website development and design. 80% of our clients are service based companies in Scandinavia. We help them find a better way to generate leads, nurture relationships and close new business online. We are looking for a business-minded web developer who is highly motivated, loves an entrepreneurial (bootstrapping) environment and is able to work both independently and in a team. To become successful in this position you should be efficient and structured, always with the main purpose to help our customers reach their business goals. Work with front end/web development in several parallel projects. Participate in workshops and meetings with our clients. Be responsible for your clients success and proactively help them reach their goals. 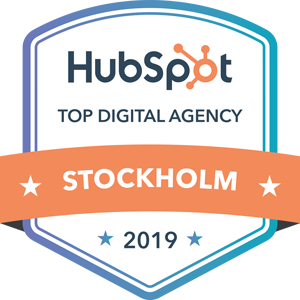 Strive to be the top HubSpot developer in Europe (and the world). You love your job, you’re passionate about the web and you love learning. You are flexible and have the ability to work independently but still being a team player who likes to collaborate with your colleagues. iGoMoon is a company that breathes the spirit of an entrepreneurial environment and dedication. We aim big. If you are business-oriented, prestige less and have a positive attitude, this is the place for you.